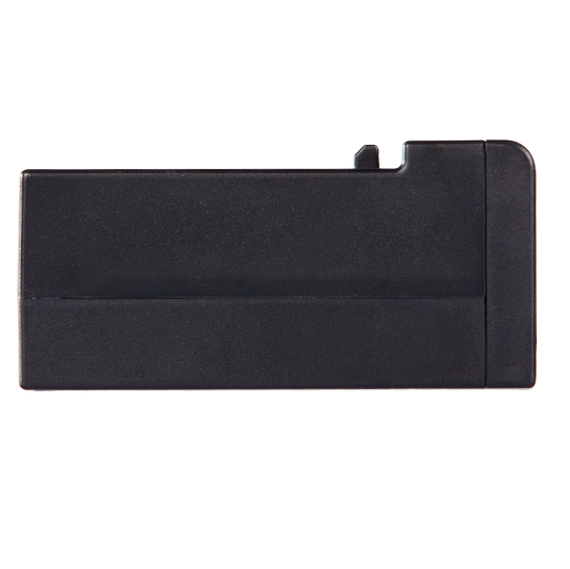 The CommandFusion IR8 module features 8 stackable IR outputs, and comes with spring terminals for quick and easy, yet secure connections to IR emitters. 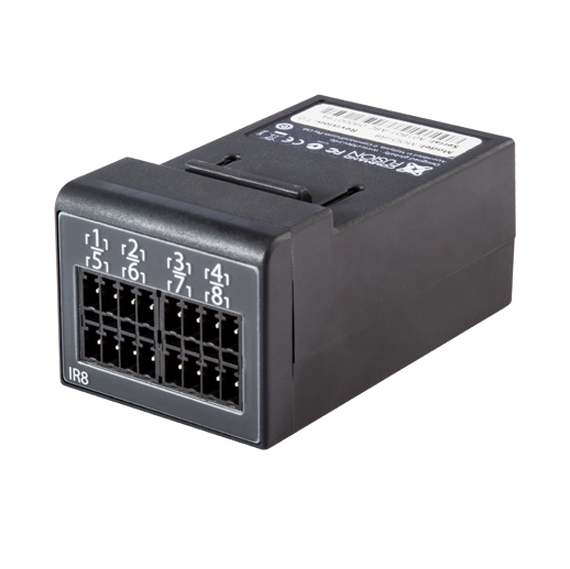 Plug into a modular controller for the ultimate in port flexibility. 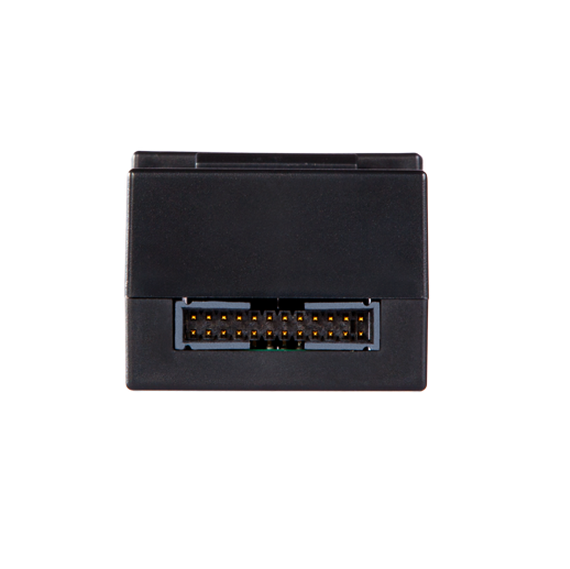 The CommandFusion IR8 module features 8 stackable IR outputs, and comes with spring terminals for quick and easy, yet secure connections to IR emitters. 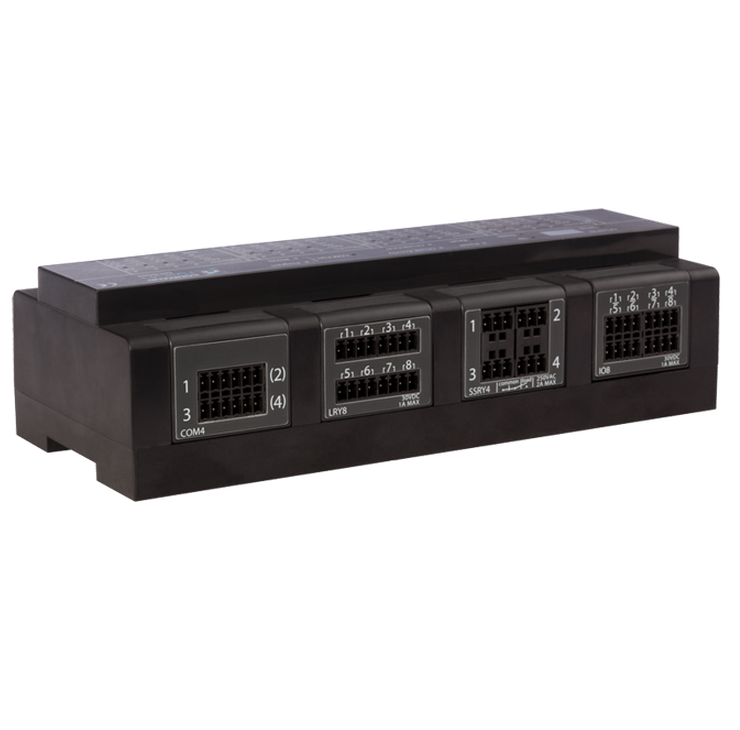 Plug into a modular controller for the ultimate in port flexibility. Take advantage of the CommandFusion modular controller’s on-board IR database of over 500,000 codes. Put 3 devices on each port. With stackable IR ports means you can put 3 devices on each port: either by using multi-headed emitters, or wiring multiple emitters to the same port. Need more of a specific port? Just plug in another module. 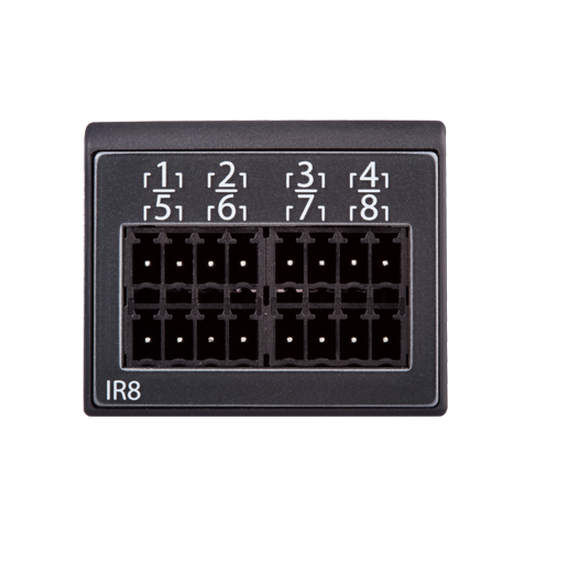 The IR8 module uses terminal blocks for connections, as against other products which use 3.5mm jacks. This results in more secure wiring in rack/electrical cupboard installations. 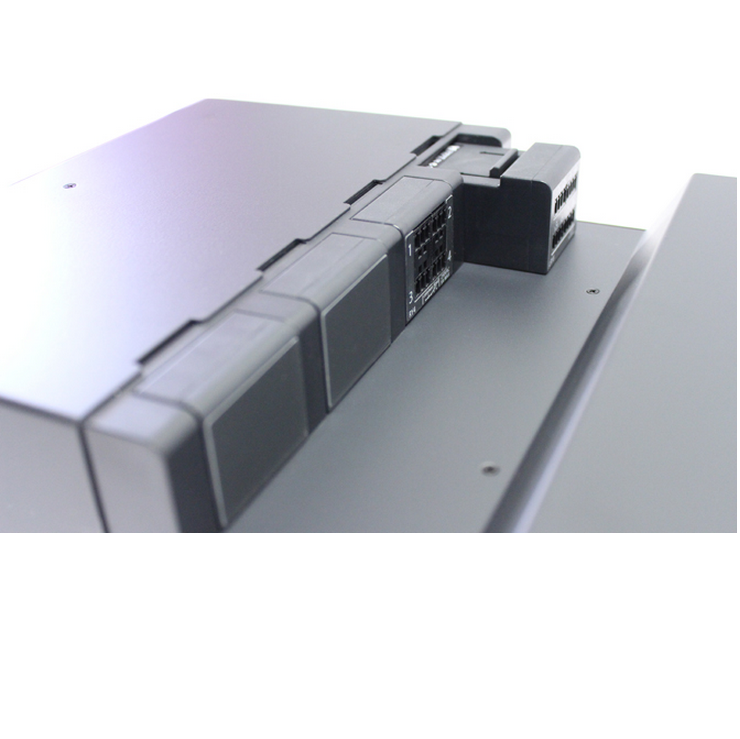 Each CommandFusion modular controller is capable of advanced IR functionality including smooth IR repeating, on-board IR database and the storing of IR codes in on-board memory. The IR8 module can be used in any CommandFusion modular controller to take advantage of all this functionality.